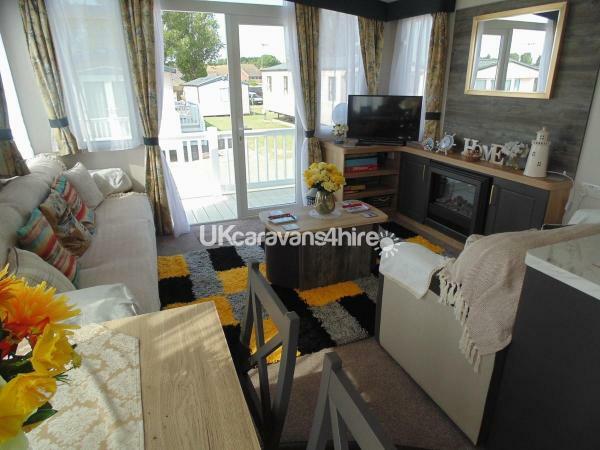 Our 3 bedroom prestige caravan is on a popular area of the 5 star Hopton Holiday Village site and is just couple of minutes walk to the beach, yet close to all the amenities. 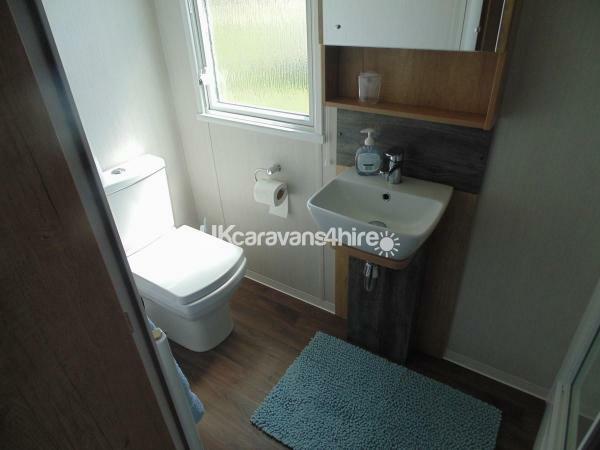 There is ample parking space alongside the caravan. 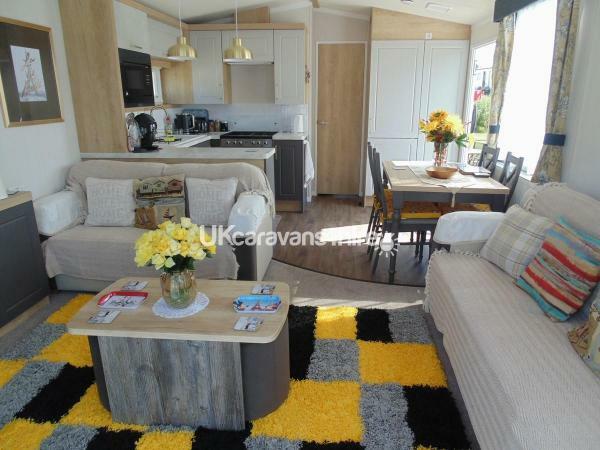 The open plan living area is spacious, with a TV/DVD and a good supply of children's books and DVDs. 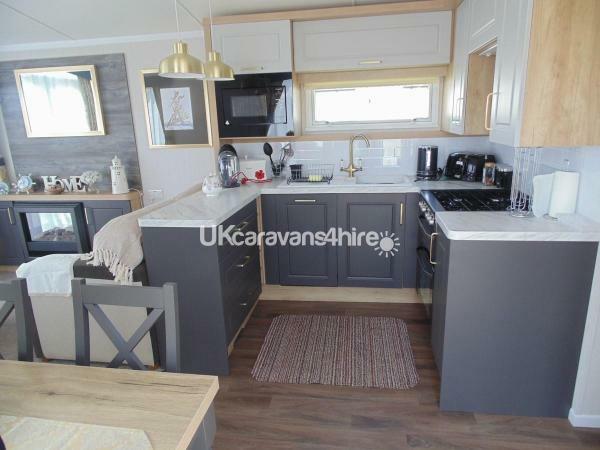 The kitchen has a full size cooker, fridge freezer,dishwasher, microwave, toaster and is fully equipped. Complimentary tea, coffee and fresh milk will be provided for you.There is a shower room with toilet and washbasin,. 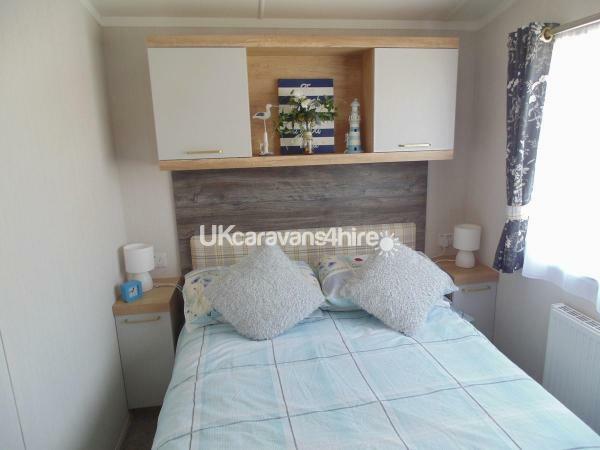 There is a master bedroom with double bed and ensuite, and 2 twin bedrooms.All electrical sockets have usb charging points and there is a built in Bluetooth surround sound system in the main living area. Bed linen and towels are supplied, just bring your own beach towels. 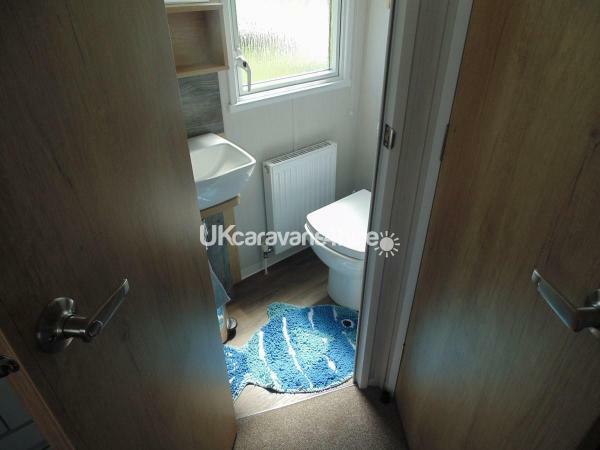 The caravan has full central heating and constant hot water. 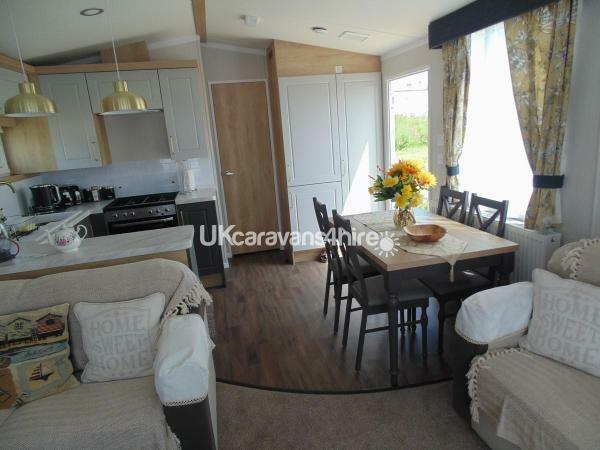 There is a children's play area for small children very close by which can be seen from the caravan. A deposit of 100 is required when booking, and the balance 6 weeks prior to the holiday.